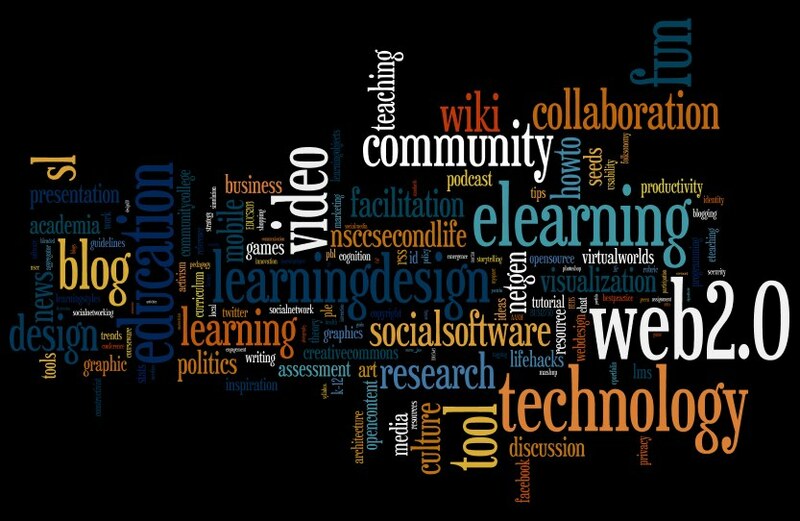 A wordle tag cloud of my del.icio.us links. Here’s a video showing you how to use tabbed browsing. Tabbed browsing lets you open more than one web page in a single browser window. Gtalk is what Alan & I use to chat. If you’d like to give it a try, give one of us a shout by phone or email. Digg is a news site where anyone can contribute or rank stories. The popular ones rise to the top. If something goes viral online, chances are it’s shown up on Digg. Bloglines is an aggregator. Aggregators bring things together … things like web sites. Instead of visiting the sites you like every day, they come to you. Sweet. In addition to Bloglines, Netvibes and Pageflakes are two other popular aggregators. Think about how you might use an aggregator to create a “living textbook” or portal for your course. Think about how you might bring together career information for students. Perhaps you could make a living subject guide for a program. If you have any other ideas, I’d love to hear them. StumbleUpon is pure evil for web junkies. It’s a way you can serendipitously find sites you might like. You can set up a blog on WordPress. Check out my post on how blogs are used in education. There’s a list of NSCC bloggers at the end. You can set up your own wiki at PB Wiki. Here’s the Web Superhero wiki we used for a workshop for new faculty at Burridge last fall. Flickr is a photosharing site. My husband Chris uses it with his photography students. Second Life is a virtual environment. NSCC has a vibrant learning community in Second Life. There are faculty, professional support, managers and students all exploring and using Second Life to support their own learning. We hold an informal drop in on NSCC Island every Thursday night. Email me if you’re interested & I can help get you started. Google Docs is a web-based version of Word, PowerPoint, Excel and more. We’ve used it for collaboration, and one of my children uses it to track their allowance. Slideshare lets you share PowerPoint slides. (That’s what I used above.) It’s a great way to collect and share the PPTs you use in a course. I notice that some conference presenters are using it to bring together all the presentation materials from a conference. Much better than the traditional password-protected conference site! 43 Things is about setting and accomplishing goals together. Ustream lets anyone stream video from anywhere. Have a guest speaker you want to share with the world? Stream them (with permission, of course). Be patient, however. Ustream can sometimes be slow. Del.icio.us is for sharing bookmarks … there’s a nice NSCC community here. I’m randommind. How does this all fit together? It could make up the learning environment of the future. How would you use any of this in your own job? Only you will know. My great idea might not work for you. However, your great idea might work for a colleague. So share! Play and share what you learn. That’s what our new google group is for.